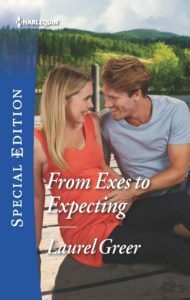 To celebrate the e-book release of From Exes to Expecting, I’m holding a giveaway of a $10 Amazon gift card and a digital copy of From Exes to Expecting! Enter by following my Facebook page, adding me on Twitter, or tweeting about the giveaway. Every action gets you another entry! Contest is open to folks in the US, Canada, the UK, and Australia. Local rules apply. The giveaway isn’t affiliated with Facebook, Twitter, or Amazon. Good luck! Contest closes March 12 at 12:00 am EST.